Whether your a devout Greek Orthodox Catholic or just want to experience the unique celebrations of Greek Easter on your trip to Greece this year, knowing when the annual holiday falls in coming years will better help you plan for your future pilgrimage to this European country. Although every few years "Western" (Catholic and Protestant) Easter and Greek Orthodox Easter coincide, the Greek tradition is determined by the Julian calendar and therefore falls on specific dates depending on a variety of factors. It's also important to note that a few traditions and customs of Greek Orthodox Easter differ vastly from those celebrated in Western cultures. 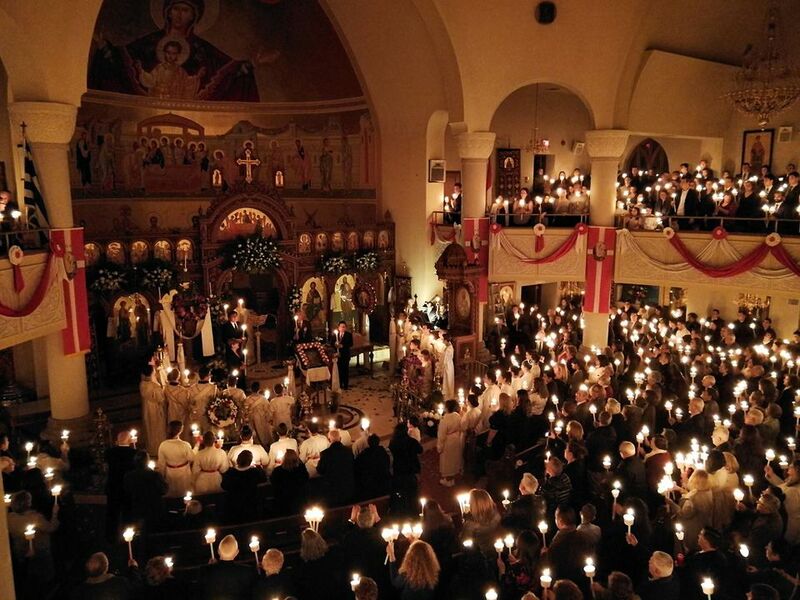 Whether you're just interested in seeing some unique Greek Easter celebrations or want to gear up for some pre-Lent Carnival festivities, there are plenty of ways to celebrate Greek Orthodox Easter this and every year. Western Easter and Greek Orthodox Easter differ in many ways, but the dates of observation are the most apparent of these variations. The basic reason for this difference is that Western Easter uses the Gregorian calendar (introduced by Pope Gregory) to determine the date of the celebration of Christ's resurrection while the Greek Orthodox uses the Julian calendar developed by Roman emperor Julian. Orthodox Easter also isn't nearly as commercially saturated as the Western celebration of the holiday. Greek tradition doesn't include chocolate or involve the Easter Bunny with pastel-colored baskets and cards, but Greeks do participate in the traditions of going to church, celebrating the image of the Christ-lamb, and dying eggs red as a symbol of new life and the blood of Christ. Like in Catholic and other non-Orthodox faiths, the Greek Orthodox Church does practice 40 days of Lent leading up to Holy Week, which is filled with tons of celebrations and ceremonies to honor the resurrection of Jesus Christ. Much like Semana Santa in Spain, Holy Week in Greece for those who practice the Greek Orthodox faith is a time of reflection, ceremonial processions, and celebratory feasts and parties. If you're visiting Greece during Holy Week, don't miss out on the extravagant processions and daily church services, which are unlike anywhere else in the world. On Holy Saturday, a special midnight liturgy is conducted, immediately followed by the Anastasi service where many Greek Orthodox break their fast during the Agape Meal (love feast). The feast typically consists of lamb, feta cheese, and sweet bread known as tsoureki and is served until the early hours of the morning. The following morning, Easter Sunday, a massive service is held around the noon hour with several smaller services spread throughout the afternoon and evening. However, much of the day is also spent feasting and celebrating the return of Jesus Christ with family, friends, and fellow Orthodox Greeks.